Shoemaker Nils Gregoriusson Tveranger first introduced the loafer as a casual shoe during the 19th century in Aurland, Norway. When he first designed it Tveranger called the loafer a 'Aurland moccasin' and was later changed to the 'Aurland shoe'. Norwegians soon began to export the Aurland shoe throughout Europe and later made they way to American where it became popular accessory to wear outside. 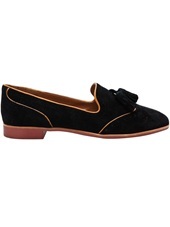 Loafers resemble the moccasins for its design and acquire the same shape as the lace- up oxford without the laces. In America and some European countries, the loafer is often used as a causal shoe worn in work and leisure while the lace-up style is used for a formal occasions. 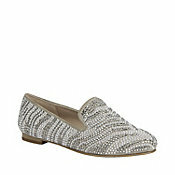 Although it's originally a men's shoe women have also taken a likened to the loafer shoe as well. Pop legend, Michael Jackson, brought the classic loafer into fashion during the 80's when he trademarked it as part of his signature style. I adore a good pair of loafers because they came in variety of designs and colors but most importantly they don't hurt your feet. 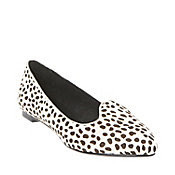 These are loafers and they're the best kind of shoe to wear for the spring! I know it didn't connect with me before but he always wore a loafer shoe w/ white socks as a part of his style. Very cool! I did not know that about the loafer. Do you know anything else behind the actual "loafer" name or was it just the name of the original product? Well the shoemaker, Tevranger, originally called the loafer the Aurland moccasin after his native country because it resembled the style of them before renaming it to the Aurland shoe. The name "loafer" didn't come about until the 1930s when the Spaulding family renamed the shoe after seeing photographs of it in Esquire magazine.